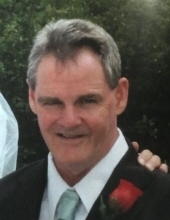 CORINNA-David M. Halpin, 64, died on Sunday, March 17, 2019, at his home in Corinna, with his loving wife, Patricia, and his family and friends surrounding his bedside. Guaranteed delivery before David's service begins. "Email Address" would like to share the life celebration of David M. Halpin. Click on the "link" to go to share a favorite memory or leave a condolence message for the family.